I was playing around with the Sony Playstation II Eyetoy camera and wondered if it would work on my Windows XP system, after a little research and file modification I got it working. Below is a link to the drivers, download to a temp directory and unzip. 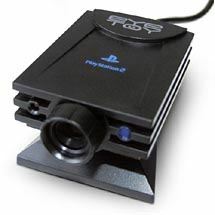 Plug n the eyetoy and during driver install point it to the directory you unzipped it to. It works great!